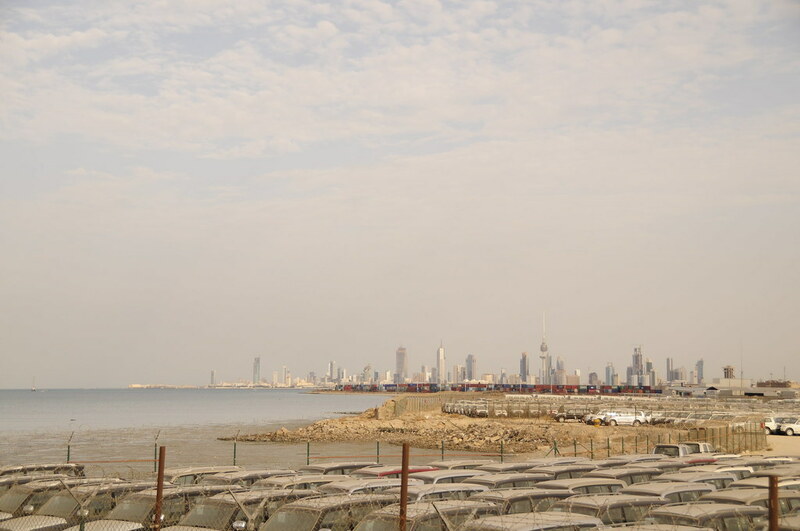 Shuwaikh port has seen its fair share of financial crisis, economy slowdown and even war. I love this view of the imported cars, containers in the middle and the city in the background. I hope 2009 is a year of recovery for the world economies, bringing back a sense of reliability and trust. Whatever your field of work, this is going to be a tough year. Personally I'm happy it's not "just another year" but rather a year when changes will be seen. To all of you and your loved ones - HAPPY NEW YEAR. 2008 was definitely not my year. the blow for each other. Happy New Year Bu Yousef. Your pictures are very impressive and I very much enjoy looking at them. Thank you for educating me about the Middle Eastern culture and particularly the region you are from. Oh well, lots of surprises to come in 2009, may they be positive and happy ones. I hope 2009 and beyond are better. Thank you for the kind words. I think your posts are more educational and I shall have a good read later. Small world! It is "Black & White" and I know about the Flamingos. In fact that's why I drove around there in the first place. I hope to catch a good one of them some day. Loading your homepage takes ages! I have no idea why? I haven't changed anything. It seems to think for a while and suddenly it's fully loaded. Same for you? Yeah I have no idea too. Maybe because you have so many posts on your homepage? Try reducing the number of visible posts in your homepage and see if it works faster.